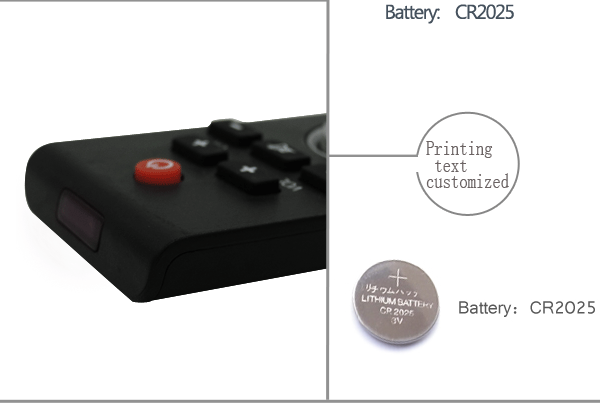 Universal programmable rca tv remote control codes for philips blu ray DVD player packaging: 1.Usually use PE and carton packaging,1pcs in one PE bag. 2.Use plastic packaging. 3.According customer's asked packaging. 3.customes requirements on package is available. Most RCA, GE and ProScan DVD systems do not require programming. Before starting programming, check if the DVD system responds to the remote control. Open the DVD system manually. Find the three-digit code for the DVD system in the code listing below. Press and hold the CODE SEARCH button until the INDICATOR LIGHT lights up, then release the CODE SEARCH button. Press and release the DVD button (the light will flash and remain lit). Use the number buttons to enter the code. After entering the code, INDICATOR LIGHT will be turned off. If the code is invalid, the INDICATOR LIGHT will flash. Check the code list and repeat the process. Point the remote at the DVD system and press the ON•OFF button. Your DVD system should be turned off. If the DVD system responds, no further programming is required.